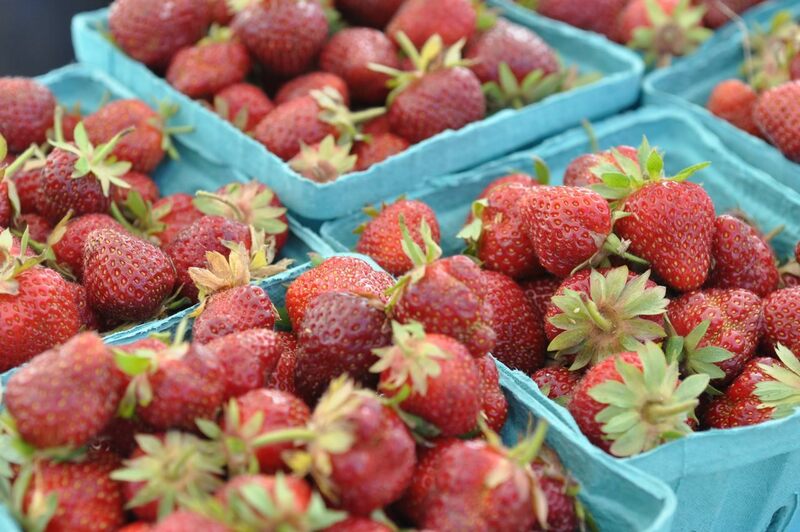 To me, there's nothing that says "summer" more than the U-Pick Strawberry stands in the Hamptons or picking up one or two quarts of strawberries on Tuesday afternoons from Chubby Bunny CSA in the city. Local strawberries in early Summer are as predictable as the sun rising every morning and asparagus in Spring, right? Or so I thought. Imagine my huge disappointment when I got this email on Monday night from Bernie, our Lead Bunny. I just retrieved a message from Hepworth Farms stating that there will not be a fruit delivery tomorrow. Apparantely the heavy rain washed out the berries that were suppose to come our way. They are very sorry and promise to make it up to us in the coming weeks so bring more bags! With a late start to the strawberry season due to unseasonably cold weather and overcast days, this year's crop yield was already expected to be low and the season shortened by a 10 days or so. But with last week's rains in the Northeast, the strawberries at many of the local farms turned to a mushy mess basically rotting out the wet berries and decimating the crop for the season. I have my fingers crossed that the soil dried out at Hank's Farmstand in Southampton and I can grab a few dozen pints to wash and trim and store in the freezer. There's nothing like a smoothie in January made with local, Long Island strawberries. Ahhh!!! So much for my dream of local strawberries and homemade raw milk yogurt (tomorrow's project). To find strawberry farms on Long Island and around New York City, visit the New York State Berry Growers website at www.nysbga.org. If you're lucky enough to find any check out some of these great recipes -- sweet and savory -- on Lighthearted Locavore.